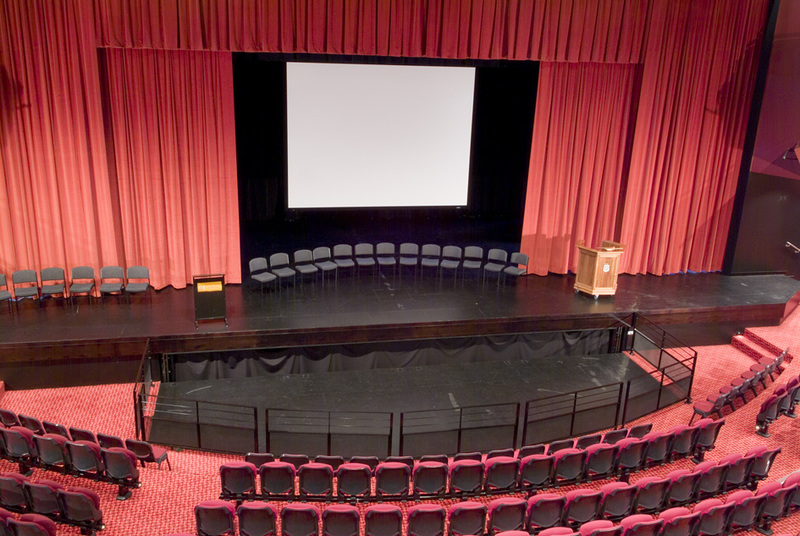 Caulfield Grammar School completed a large scale project involving a number of contemporary new facilities including a Chapel, a large Function Room and a 650 seat Theatre. 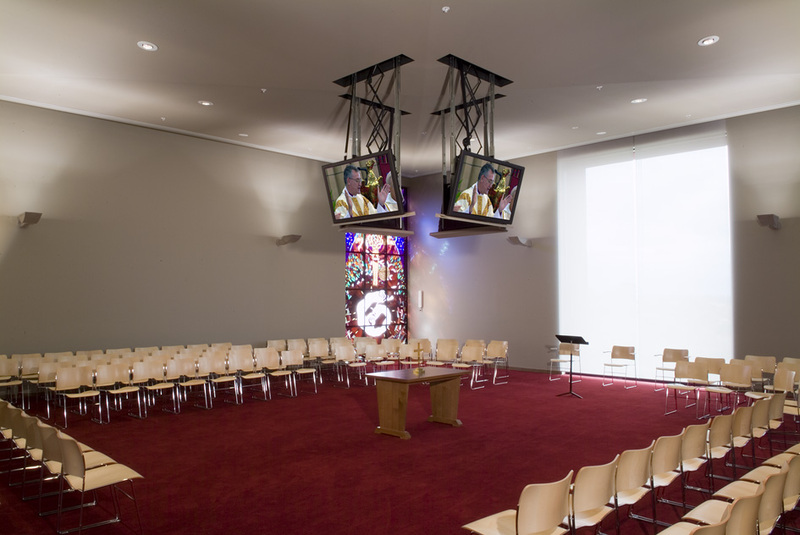 With their new Chapel, they aimed to create a modern, functional space. To ensure this room maintained a reverent feel about it, InSight Systems were asked to provide a technological solution that would become virtually invisible when not in use. The installation incorporated four 50″ plasma screens, installed in the inverse pyramid-shaped ceiling. Custom lifts were designed to simultaneously lower the plasmas and then tilt to the perfect viewing angle. When the plasmas are not required, they simply disappear into the ceiling. The sound system also needed to balance superior sound with discretion. Specially designed speakers were chosen and installed in the ceiling, and while they are plastered in and painted over, they remain acoustically sound. The Function Room was designed for a multitude of functions, so again the equipment needed to remain relatively invisible while not in use. The projector was housed in a motorized lift, while the large screen rolls up into the ceiling. Other components to the system included an audio system, a DVD layer and a lectern. 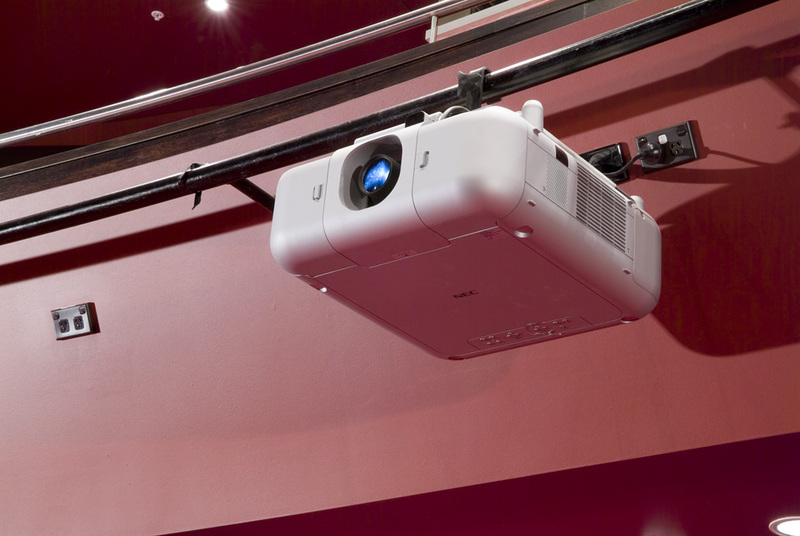 The Theatre required a very powerful projector to display quality images on the 4.5 meter wide screen. A high brightness projector with long throw lens were chosen as the projector needed to project the image from the rear balcony. 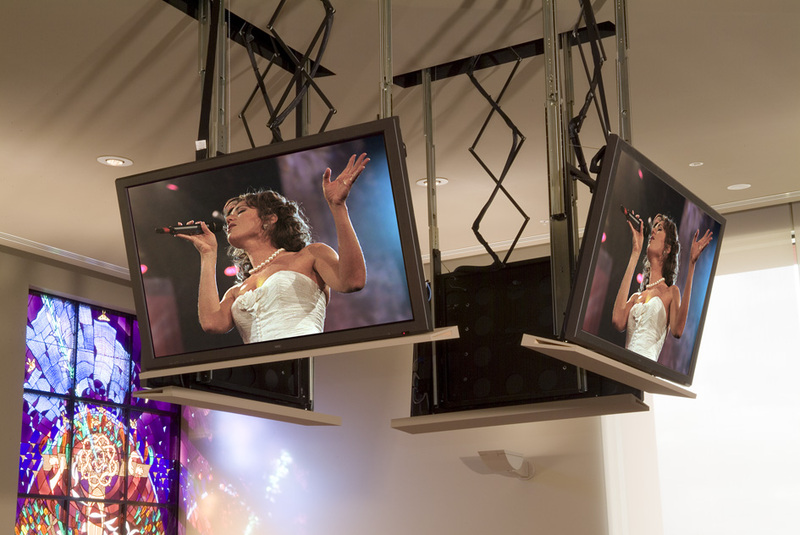 The deluxe fixed frame screen was mounted to a lighting bar above the stage, providing the flexibility to lift out of the way when not in use. Wireless remote control systems were installed in each of these three projects. As you can see, this customised solution required a significant team effort, working with the client, architects, engineers, builders, electricians and a host of other contractors. The result… leading edge environments for students to learn and grow.